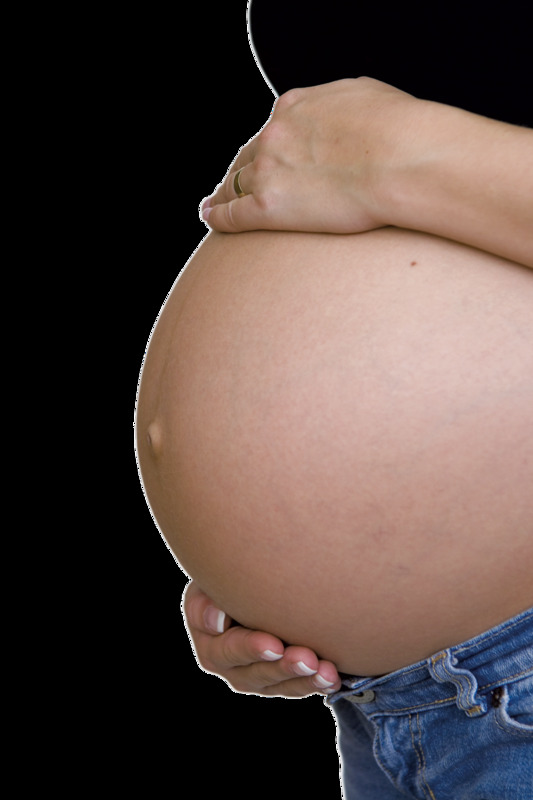 How Do I Respond to Unwanted Attention Around My Pregnancy? | Autumn Answers | Kids VT - small people, big ideas! When I was eight months pregnant, someone commented on a vein on my chest. She touched my skin and said, "Well, that vein's new. Wasn't there before you were pregnant." I was stupefied. How do you respond to a comment like that? "Thank you so much for keeping an inventory of my veins! I was worried I'd lose track of them all." For all the many pregnancy books I read, not one covered how to handle the unsolicited comments, advice and — cringe — touching that pregnant women endure, despite the regularity with which they happen. It's all part of a bigger conversation about respect and boundaries, and the bottom line is always this: No one is entitled to make unsolicited comments about your body — pregnant or otherwise — and no one can touch you without your consent. Period. So what can you do, and say, when it happens to you? Amy Morrison, founder of Pregnant Chicken, an online resource for new parents, offers some of my favorite comebacks. Her responses are funny, sarcastic and always cathartic. For the person who asks "Wow, you haven't had that baby yet?" Morrison recommends, "I had it, but I'm trying to shoplift this basketball, so could you bugger off?" "You're huge!" is a popular rude comment people make. Morrison suggests responding by stating the obvious: "I know! It's like I'm growing a whole baby or something!" Dr. Diane Sanford, a mental health expert for the website Babycenter, crowd-sourced a long list of possible responses. Things like, "Yes, I am getting larger, maybe you could loan me some of your clothes for the next few months," fall into the humorous/sarcastic category. A more direct response could be, "Hey, I'm sensitive about my weight, so please don't make comments about it." If you're feeling less confrontational, Sanford says a disapproving headshake will get the message across. For unsolicited belly touching, Sanford recommends removing the person's hand from your belly and asking him or her to please respect your personal space. If you're uncomfortable with this approach, simply step out of reach of the person's hand. They'll get the point. One of my personal go-to responses for any kind of rude or inappropriate comment is to simply say, "Anyway..." and immediately move on. As in, "Anyway, these sure are delicious noodles!" The "anyway" works to both acknowledge that something was said and make clear that you have no interest in engaging. Pregnancy is an incredibly personal experience. Just because it's highly visible doesn't mean it's everyone's business. The important thing to remember when handling unwanted attention is that you never have to just put up with it.